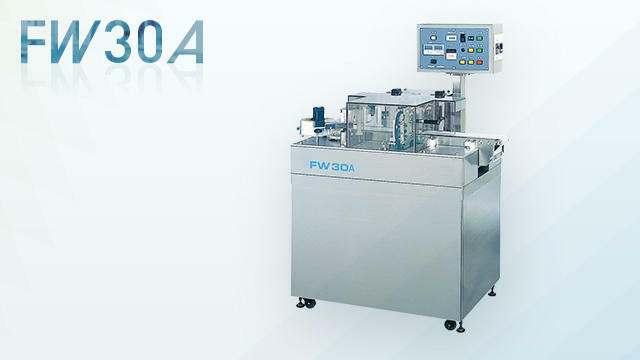 FW30A to wrap the cake | Other | FUJI MACHINERY CO.,LTD. Automates side film rolling of torte cut, square, and small round cakes. Uses a sealing and cutting system that prevents the film from sliding out of place after wrapping.